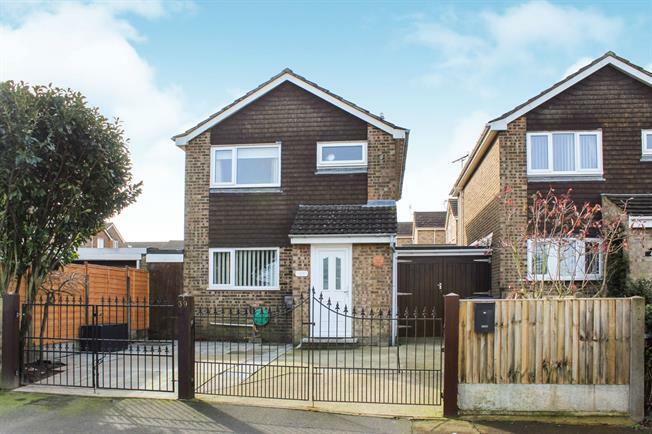 3 Bedroom Detached House For Sale in Dover for Guide Price £280,000. Be quick to view this three bedroom detached house which is located in a quiet cul-de-sac in Whitfield. This property has driveway parking and a garage, there are also wrought iron gates giving the house plenty of kerb appeal. Once inside you will not be disappointed, there are three reception areas and a conservatory. There is also a modern kitchen with a good range of units too. There are three good sized bedrooms upstairs as well as a modern bathroom. Viewing highly recommended.